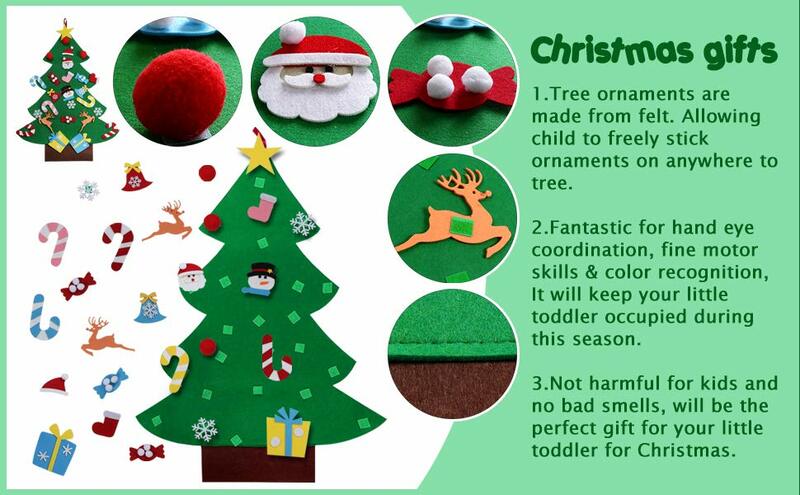 Material: Both of the funny Xmas tree and cute ornament are made of premium felt, completely healthy and soft for kids even baby to play. Enjoy your playtime with your kid together. Easy to Play: This activity is fantastic for hand-eye coordination, fine motor skills & color recognition, will be the perfect gift for Christmas to your little toddler who can't stand steady. Durable: The kids Xmas tree gift is folding packing. So you could use an iron to avoid wrinkle and makes the tree perfect. High quality felt is durable then you can use it for years.